For medical researchers focused on multiple sclerosis (MS), the hope is to move beyond just slowing the progressive and debilitating disease towards actually restoring some lost functions. Researchers writing in the medical journal Neurology have reported what appear to be promising results from the use of a drug already in physicians' arsenal. They write that the use of the drug alemtuzumab actually reversed some of the nerve damage in MS patients. They note the drug isn't employed very often because it is known to have potentially serious effects. Alemtuzumab is normally prescribed to patients in later stages of MS who haven't responded well to other treatments. It is used most often with the most common form of the disease, relapsing-remitting MS, in which symptoms alternate between improving and worsening. 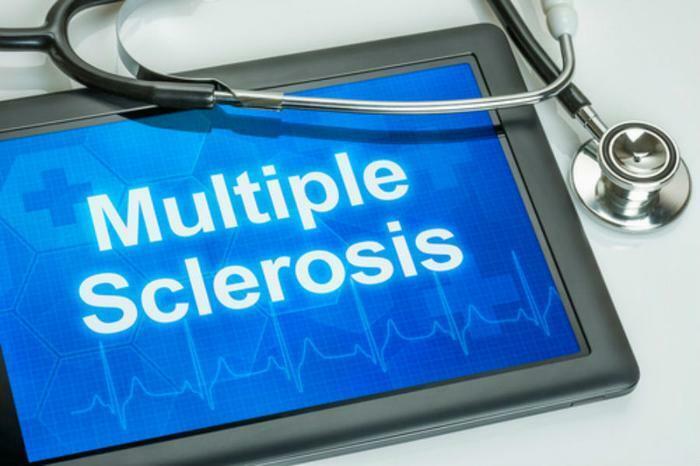 In the international study, relapsing-remitting MS patients who did not respond well to at least one other MS drug were treated either with alemtuzumab or interferon. Their level of disability was monitored from the beginning to the end of the study. By the end of the two-year monitoring period, 28% of the patients receiving alemtuzumab had regained at least some lost function. They were two times more likely to have shown improvement than the patients receiving interferon. “These results are encouraging, but exactly how alemtuzumab may reverse damage, whether it’s through repairing myelin, creating new nerve synapses, greatly reducing inflammation or some other mechanism, is yet to be investigated,” said Dr. Bibiana Bielekova, a member of the research team. That, the researchers say, needs to be pursued in follow-up studies. But the study is just the latest to suggest that it might be possible to repair some of the damage caused by MS.
As we reported in 2014, animal studies had suggested a drug called anti-LINGO-1, also called BIIB033, may be able to repair the demyelination of the nerves. However, Phase II clinical trials, completed early in the summer, did not achieve the hoped-for results. Dr. Alfred Sandrock, executive vice president and chief medical officer at drug maker Biogen, said researchers aren't giving up.